Perfect Family Home or Investment Opportunity ! Cute as a button and newly renovated. Located just minutes from downtown Social Circle. Enter into the large family room and kitchen is to your left with eat in breakfast room. 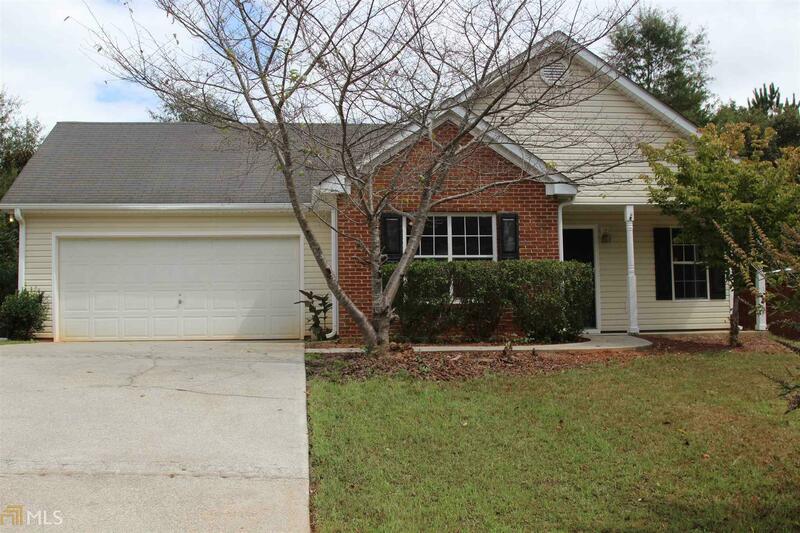 Home has 3 Bedroom 2 Full Bath, new paint carpet and pergo wood flooring. Eat in Kitchen with breakfast bar and large window. Fenced in back yard for the family pet and small patio. Master bedroom has new flooring and paint, garden tub and double vanities are in the master bath. 2 additional bedrooms with new carpet and paint. Entire home is all electric. Two car garage, sewer and public water. Social Circle is a quaint town with a school district that is desired only 40 minutes East of Atlanta. Directions: I-20 To Exit 98 Hwy 11 , Go North To Social Circle For 2.7 Miles, Turn Left Onto S. Cherokee Road, .5 Miles Turn Left Onto Spring Drive, Turn Right Onto Bear Cub Path Home Is On Your Left. Courtesy of Sunbelco Realty Company, Inc. Copyright 2019 Georgia MLS. All rights reserved. Information deemed reliable but is not guaranteed. The data relating to real estate for sale on this web site comes in part from the Broker Reciprocity Program of Georgia MLS. Real estate listings held by brokerage firms other than Conner Smith Realty, Inc. are marked with the Broker Reciprocity logo and detailed information about them includes the name of the listing broker. Information provided is for consumer\'s personal, non-commercial use and may not be used for any purpose other than to identify prospective properties consumers may be interested in purchasing. Conner Smith Realty, Inc. does not display the entire MLS database on this website. The listings of some real estate brokerage firms have been excluded. This site will be monitored for \'scraping\' and any use of search facilities of data on the site other than by a consumer looking to purchase real estate, is prohibited. Listing broker has attempted to offer accurate data, but buyers are advised to confirm all items. Information last updated on 2019-04-20.